Delta Beverages' revenue grew 18 percent to US$572 million for the year ended March 31, 2018, compared to US$482 million in the prior year. This is the Group's first revenue growth in five years as it has been struggling with reduced sales. Resultantly, Earnings Before Interest and Tax (EBIT) grew 28 percent above last year with a strong contribution from each beverage category. This was despite a challenging operating environment characterised by difficulties in foreign remittances. "The year experienced firm consumer demand, particularly in the second half across all beverage categories," said chairman Mr Canaan Dube in a statement accompanying financial results. At US$88 million, total comprehensive income was 27 percent above prior year's US$69 million. Operating margin went up to 20,75 percent during the year under review, from 19, 07 percent. Total volume excluding associates was 14 percent above prior year. The Zambian subsidiary, which was acquired in January this year, registered a 21 percent volume growth for the quarter on improved product supply. The unit is expected maintain a positive contribution in the future. In the beer segment, lager and sorghum beer volume grew 27 percent and 9 percent respectively above prior year while the sparkling beverages volume grew 15 percent above last year. Sparkling beverages enjoyed strong demand across brands, especially for value and convenience packs although there were supply limitations on account of imported inputs shortages. Total lager volumes consumed in the year amounted to 1,5 million hectolitres as market supply remained stable despite foreign currency constraints. Market share gains in the premium segment was driven by Zambezi and Castle Lite. Sorghum beer volume grew 9 percent to 3,8 million hectolitres with Chibuku Super contributing 71 percent. The sorghum beer segment's gross sales amounted to US$205 million. Maheu grew 19 percent in the year despite acute shortage of packaging. Delta had a strong cash flow generation which arose from improved working capital. Included in the net cash balance of US$236 million is cumulative US$59 million in unremitted dividends payable to foreign shareholders and US$46 million overdue to foreign creditors. Mr Dube said the group would continue to look for growth opportunities as mitigating measures are undertaken to reduce the impact of the macro environmental challenges. However, limitations in foreign supplies could compromise the beverages firm's ability to service the market. "We look forward to an economy-wide correction of value chain costs and prudent management of fiscal and foreign currency resources as these will be critical for local industry competitiveness," he said. Its associates, African Distillers Limited, Schweppes Zimbabwe Limited and Nampak Zimbabwe, were all constrained by foreign currency shortages to import essential raw materials, especially for packaging. Afdis and Schweppes both had a strong volume performance while Nampak is expected to release its half year results this month. Delta declared a final dividend of 2, 70 cents per share which was paid on 4 May, 2018. This brings the total dividend paid this financial year to 7, 20 cents per share. 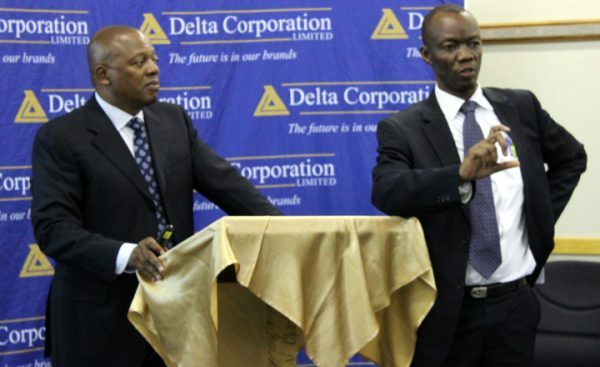 Delta is the largest company by market capitalisation on the Zimbabwe Stock Exchange (ZSE).